In the last few months, the Nigerian Government has put a massive focus on the anti-corruption fight, and the Money Laundering (Prohibition) Act 2011 (and the amendment to the Act in 2012) is a big part of this fight. 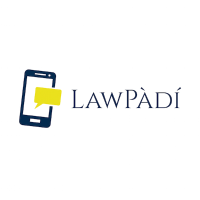 We at LawPàdí decided to create this short informational post to list a few aspects of the law, which concerns the average Nigerian carrying out his/her daily duties. This post is obviously not meant to be a comprehensive review of the Money Laundering (Prohibition) Act 2011 (and the amendment to the Act in 2012), and in fact, we intentionally do not cover the aspects that are more relevant to financial institutions and designated non-financial institutions. This quick review was created specifically for the average Nigerian. 1. What is Money Laundering? Money laundering according to the Act is when any person in or outside Nigeria directly or indirectly conceals or disguises the origin of; converts or transfers; removes from the jurisdiction; acquires, uses, retains or takes possession or control of; any fund or property, knowingly or which he/she should reasonably have known that such fund or property is, or forms part of the proceeds of an unlawful act. The Money Laundering (Prohibition) Act 2011 makes it illegal for any individual to accept or make any cash payment that exceeds N5m (Five Million Naira). This means that every cash transaction over N5m must be done via a financial institution. Any person found guilty of contravening this is liable to imprisonment for a term of not less than 3 years or a fine of N10m (Ten Million Naira) or to both. The Money Laundering (Prohibition) Act 2011 states that any individual, who is transporting cash or negotiable instruments in excess of US$10,000, or its equivalent must be declared to the Nigerian Customs Service. Non-declaration of the funds or false declaration is an offence that is punished upon conviction by the individual forfeiting the funds in question, or to imprisonment of not less than 2 years or to both. If you gamble in casinos in Nigeria, then you should be aware that the Money Laundering (Prohibition) Act 2011 provides that a casino must verify the identity of its customers and record all transactions, including the nature and amount involved in each transaction, and this information shall be kept in a register and preserved for a period of at least 5 years after the last transaction recorded in the register. Therefore the information about people who gamble in casinos is mandated by law to be kept for 5 years. The Act provides that the above institutions shall keep a record of a customer’s identification for a period of at least 5 years after the closure of the account or the severance of relations with the customer. This therefore means that irrespective of the fact that you have closed your account or dealings with the above institutions, they are still obliged by law to keep a record of your details. The Act provides that financial institutions and designated non-financial institutions are obliged to report to the EFCC any single transaction, lodgement or transfer of funds in excess of N5m (Five Million Naira) within 7 days. Therefore individuals should be aware that if they make such transactions, such transactions would be liable to be monitored by the EFCC. The Money Laundering (Prohibition) Act 2011 makes it illegal to open or maintain a numbered or anonymous account in Nigeria. A numbered bank account is a type of bank account where the name of the account holder is kept secret, and they identify themselves to the bank by means of a code word known only by the account holder and a restricted number of bank employees, thus providing accountholders with anonymity in their financial transactions. The offence is liable on conviction to a term of not less than 7 years but not more than 14 years imprisonment. The Act makes it illegal for individuals to carry out money laundering activities on behalf of another person, when he/she knows or suspects that the other person is engaged in or has benefited from criminal conduct, and such an act is liable on conviction to imprisonment for a term not less than 5 years or to a fine equivalent to 5 times the value of the proceeds of the criminal conduct or both such imprisonment and fine. The Money Laundering (Prohibition) Act further makes it a crime to conspire, aid, abet, incite, procure, induce or counsel any other person to commit a Money Laundering offence, commits an offence and is liable on conviction to the same punishment as is prescribed for that offence under this Act.